Last month I covered my four favorite fiction reads of last year (apart from the grand prize winners which are still to come). This month, I’m going to talk about my four favorite nonfiction books. I read a lot of nonfiction, especially travel and memoir and history and biographies. All four of these books fit in those categories somewhere. 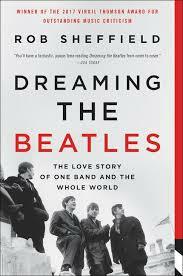 First up is a wonderful piece of music journalism called Dreaming the Beatles: The Love Story of One Band and the Whole World by Rob Sheffield (2017). I’ve been a Beatles fan since I was a toddler and I heard their early songs played on the car radio. As a result, I thought I knew most of what I needed to about the boys from Liverpool. The joy of this book is that it offers a fresh perspective on the Fab Four, while still giving them the admiration I believe is their due. Even better, it sent me back to listen to the music. That’s always the test of how good a book about music is! As those of you who follow me on social media know, I had a wonderful six weeks in Scotland last year, three weeks of which I spent on the beautiful island of Eigg just south of Skye. My hostess had a small but very interesting collection of books, mainly about Scotland. 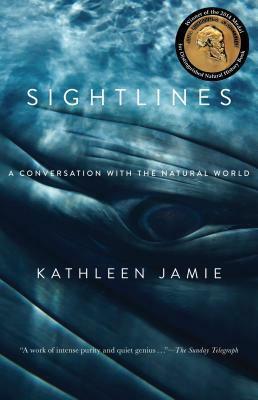 My favorite find there was a book called Sightlines by Kathleen Jamie (2012). I’ve since read her Findings (2011) and it’s just as good. Kathleen Jamie is a Scottish poet with an intrepid and curious soul who has visited some of the wildest parts of Scotland. And given some of those places are North Rona and St. Kilda, we’re talking REALLY wild and REALLY remote. She also has a gift for creating a description that will haunt you long after you’ve closed the book. Some of the moments in this collection of essays, like the one when she enters the whale hall in Bergen’s museum and sees the huge skeletons like something from a gothic cathedral, or when she sees the northern lights, or visits Rona to check on petrel numbers, have a stunning emotional impact. She has the gift for using the small and seemingly slight as a way to illuminate truths about the most profound issues. If you like fine nature writing, I can’t recommend this book highly enough. I’m still in the far north with my next choice, Saga Land: The Island of Stories at the Edge of the World by Richard Fidler and Kari Gislason (2017). The authors are close friends who visited Iceland together and this book offers their differing perspectives on this fascinating speck of land out in the cold North Sea. It also includes re-tellings of the greatest of the sagas. Fidler had never been there before this visit. 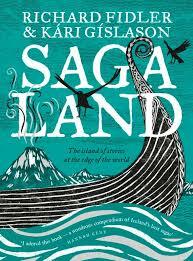 Gislason’s parents were Icelandic, although his relationship with his native land is complicated and full of shadows. So this book is partly a travel diary, partly a literary history, partly a compendium of legends, and perhaps most powerfully, a description of a close friendship. What makes Saga Land an enjoyable read, apart from the indubitable interest of the subject matter, is how all these different elements play off one another. For Gislason, this is a journey about reclaiming his family history and his ancestral homeland. For Vidler, the quest is less personal, but he responds strongly to the stark landscape, and the sagas leave him powerfully moved. When you put this book down, you feel like you’ve been on the journey too. My last book is also a travel memoir (travel seems to dominate this list!). 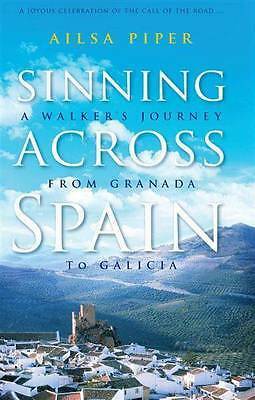 Sinning Across Spain: A Walker’s Journey from Granada to Galicia by Ailsa Piper (2017) charts the journey Australian writer Ailsa Piper made along one of the less popular caminos to Santiago de Compostela. Before she set out from Melbourne, Piper found herself fascinated by an ancient Catholic tradition where a pilgrim could carry other people’s sins and gain remission for her own sins as well as theirs through hardship and effort. That explains the rather odd title. This one’s a real treat. Piper’s very good company and she’s got a sharp journalist’s eye for a telling description, both of the many and often eccentric people she meets, and of the landscape. She’s also brutally honest with and about herself, as part of her quest for spiritual wholeness, and you have to admire that ruthless eye for her personal foibles. I once had an idea that I’d like to walk the Camino. Sadly I doubt I’ll ever do it now, but this book gave me a gritty, vivid picture of what it’s like to enter upon a journey of this scale on both a spiritual and physical level. Entertaining, surprisingly emotional, wise and funny, Sinning Across Spain is a good book to finish this quick roundup of great reads. Next month, I’m talking about a fantasy series that came close to being my books of the year. Swing by and see which books I’ve selected!